100% blue agave tequila, one of only three organic tequilas made in the world. 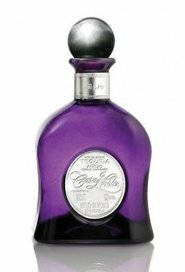 Casa Noble has been the winner of many accolades including "double gold winner" of the San Francisco World Spirit Competition, "best tequila" by Testing Institute in Chicago and "best tequila" in Mexico by Academia Mexicana del Tequila. OK - I made the last one up, but it makes you think, doesn't it? 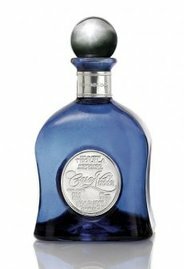 "Crystal Silver Tequila - un-aged The Casa Noble Blanco Tequila is triple-distilled versus the industry standard of two distillations and it showed through in its absolutely smooth mouth feel. 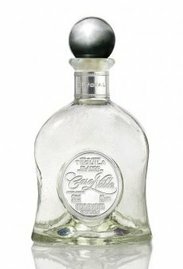 Great agave notes highlight a tequila that also presented soft fruit and interesting grain and herbal notes." Reposado Tequila - Aged 364 days in French White Oak Barrels. Matured in French oak for a full year; the light amber/yellow shade is really gorgeous and pure; the nose is seductive and compelling right from whiff - scents of brine, forest herbs, and white pepperiness, soft caramel, mild oak, herbal agave, and sea salt. The intensely sweet taste at palate entry is more vegetal than oaky or caramelly the midpalate stage is laden with sweet light toffee and candied nut flavors. The finish is long, toasty/caramelly, and resiny from the oak. Añejo Tequila - A limited production item. Aged in French oak for five years; the brilliant amber tone is impeccably pure and clean; the nose is rich, almost brandy-like, and oaky with time in the glass, the aroma becomes a bouquet as the oak influence is joined by a mild vegetal component and a background pepperiness. The delicate, perfumy scents of oak resin and vanilla, mature agave, and nut butter unite to form an atypically biscuity tequila bouquet. The palate is mildly sweet and oaky, but then explodes with firm, meaty tastes of nut butter, pepper, and light caramel; the finish is long, spirity, and elegant. 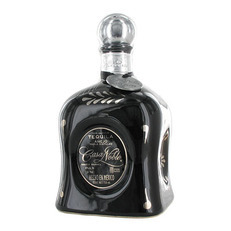 Very rare limited edition tequila, aged for an unbelievable 5 years in hand-selected French white oak barrels. The hand-made black porcelain bottle is hand-painted with platinum, then individually numbered, labeled and signed by the Maker. "This is a rare tequila, wonderful nose that includes vanilla, chocolate, dried fruits and some nice spices. The taste confirms the wood character of the tequila but you still get that nice cooked agave. Finish is long, the feel is very silky. The color is copper with gold hues. Each bottles is numbered and only 300 made per barrel, very unique."